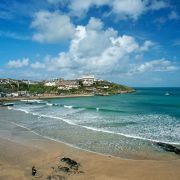 Newquay is more often associated with beach holidays, nightlife and surfing but this coastal town also has a darker side with several well documented hauntings. 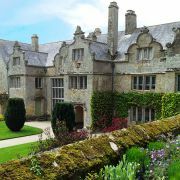 Perhaps most notable amongst Newquay's supernatural stories is that of the Tudor manor, Trerice House. Located in a sheltered valley some miles inland from Newquay the house dates back to 1537 when it was built for Sir John Arundell. The Arundells live at Trerice for three centuries eventually selling up to the Acland family in 1802 who lived here for just over a hundred years. It was around this time that the tales of ghostly apparitions began. 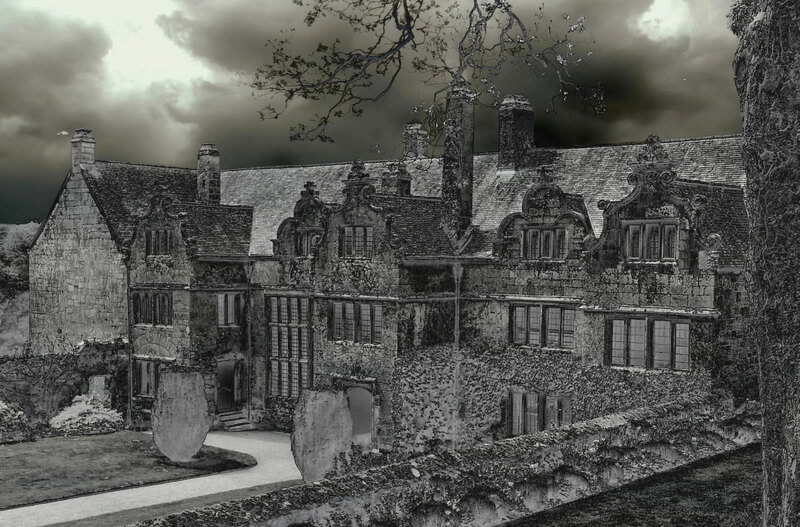 Trerice is allegedly home to not one, but two ghosts. The most sighted of these is the ghost of a young servant girl that is seen to wander the north wing of the house. The story is that in times of old lord Arundell seduced the young girl making her pregnant. Shortly after he cruelly abandoned her the girl killed herself. Apparently, whilst the ghost of the girl is never actually seen her presence is felt by a sudden drop in temperature and the air is filled with scent of lilac. Some of these sighting were also accompanied by noise of a skirt rustling and she is believed to be particularly fond of the library. The other ghost at Trerice is that of a stable-boy that frequents the manor's courtyard. It is said that he was killed when the horses he was tending suddenly bolted, trampling him to death in the process. 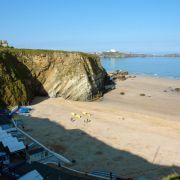 In Newquay itself it is the most imposing and grandest of the town's hotels which has the reputation of being haunted. Given its commanding position overlooking Fistral beach and its rather foreboding gothic facade it is unsurprising filmmakers chose the Headland Hotel as the location for the 1990 film "The Witches". Built in 1900 the now Grade II listed building has played host to both royalty and servicemen during World War II. 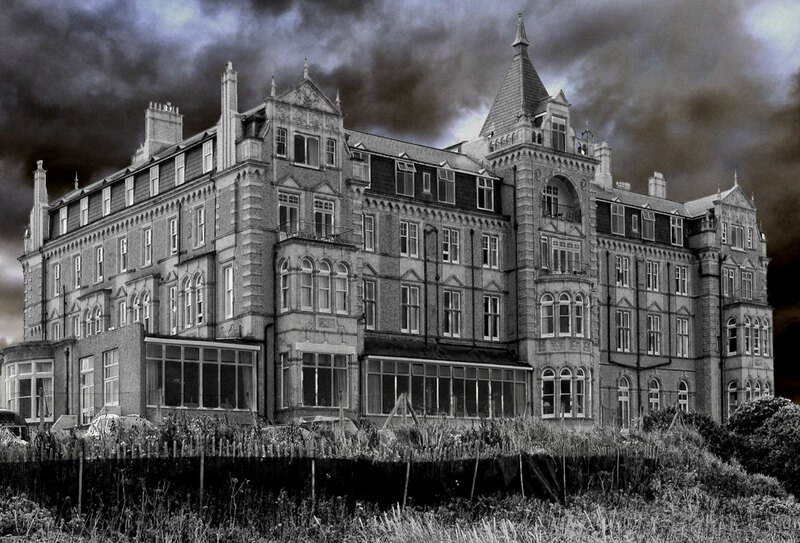 During the war the Headland Hotel served as a military hospital for RAF servicemen and the place is said to still echo with the voices and memories of the wounded who stayed here. However, it isn't just the ghosts of the wounded that roam the hotel; the most often sighted spectre is that of a nurse who appears to still be tending to the guests. One story is that a guest was awoken by the nurse gently stroking her cheek. Another ghost that wanders the hotel is a maid seen floating through the wall of the ladies powder room. Apparently there was once a door at this spot in the wall. 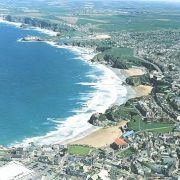 Just along from the Headland is Newquay Golf Club which boasts three ghostly residents. Most commonly seen of these is an elderly man who sits quietly in the corner of the snooker room. Newquay is home to several other hauntings including the Gannel Crake. 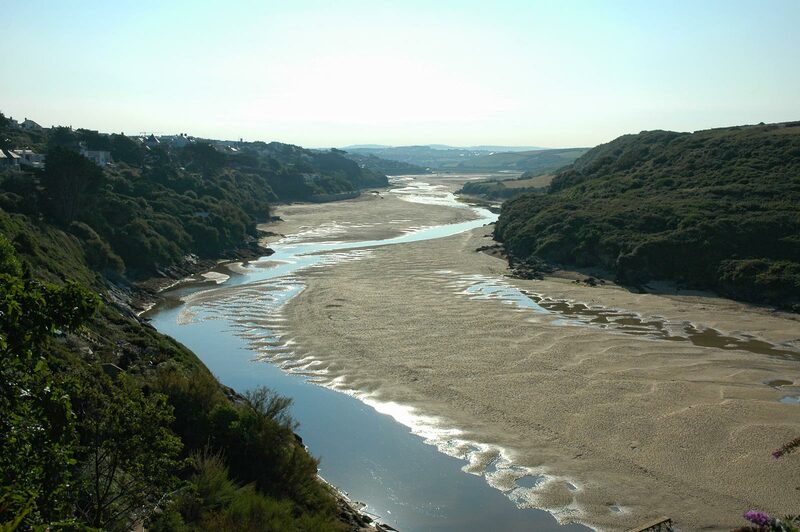 The River Gannel is a tidal estuary which runs between Crantock and Fistral beaches. Locals have long spoken of the terrifying screaming sounds which emanate from the river. The eyrie sound is said by some to be the cry of tortured human souls or the death cries of an animal. Perhaps the best description though comes from the 19th century describing the noise as "a thousand voices pent up in misery, with one long wail dying away in the distance". 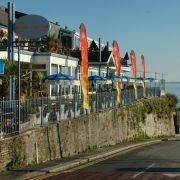 Just inland from the Gannel, in the village of Crantock is the Old Albion Inn. Beneath one of the fireplaces in the pub's lounge is reputedly the entrance to a smuggler's tunnel which runs under the village to the beach (although now blocked for safety reasons). The story is that the ghosts of a smuggler and an old man in a brown suit still pace the tunnel. One suggestion is the smuggler died whilst aboard the HMS Coventry - some of the timbers used in the 1850s to extend the pub came from the Coventry.